“Her strong suit is that she always charges, she never holds back. 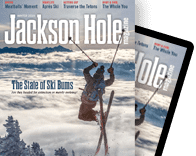 She always skis with aggression.” This is what Lindsey Vonn, the winningest American ski racer in history, says about twenty-two-year-old Breezy Johnson, who grew up in Teton Valley, Idaho, raced for the Jackson Hole Ski & Snowboard Club (JHSC), and might be competing in her first Olympics in February. Johnson says that during her JHSC days, “I was good at supersteep slaloms. I was best when it was really steep.” Today, she competes in the sport’s speed events, downhill and super-G. Last season was a breakthrough for her: Johnson finished in the top thirty of every World Cup race she started (finishing as high as tenth), and was the youngest U.S. racer selected by coaches to compete at the world championships in St. Moritz, Switzerland. 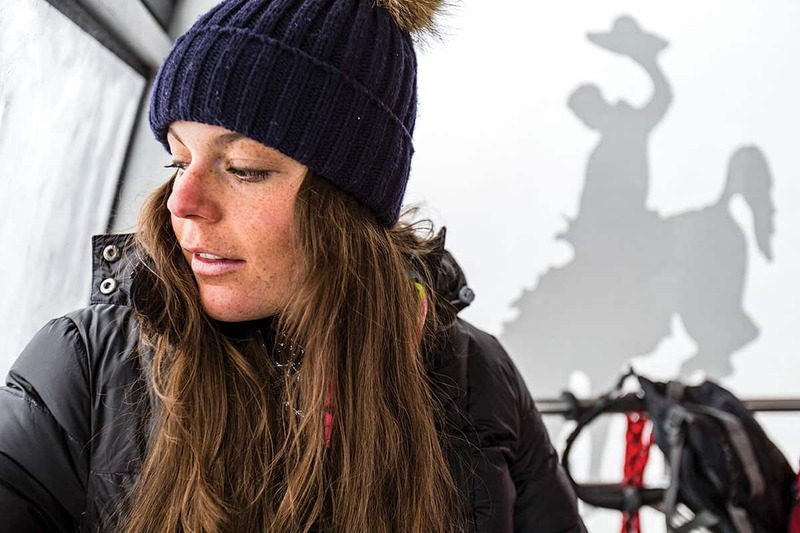 Her season ended in March at the World Cup Finals downhill in Aspen, Colorado. “I crashed, doing the splits and somersaulting,” Johnson says. Clips of it are all over the web. (Watch the crash and try not to cringe.) Suffering “only” a tibial plateau fracture, Johnson was back training early last summer and looking forward to this season. Q: How does March’s tibial plateau fracture stack up against your other injuries? A: I’ve had some little tweaks and stuff, but this was my worst. Q: What’s the fastest you’ve ever skied? A: Eighty to eighty-five miles an hour. On average, on a course we go over sixty miles per hour for those 1.5 to 2 minutes. Q: During a race do you think about the consequences of falling? A: You do sometimes have that voice—“Holy sh-t, I’m going fast.” I intellectualize it. You know from practice how good you are at skiing and that you’ll be fine. I equate it with jumping off a cliff into a lake: You know you’ll be fine, but your body is screaming, “No.” You have to turn that off. Q: Is ski racing more difficult physically or mentally? A: It’s both your intellect and your body. You’re really working for those two minutes, but you’re using your mind, too. For two minutes there’s nothing in the world besides the course. To have both your body and mind firing at 100 percent is really cool. Q: How big are your quads? A: They’re decent-sized, but they’re not as big as some. This past summer we trained with the U.S. Speedskating Team. Talk about big quads. Q: What do you do when not training and racing? A: I go to Western Washington University for one quarter—ten weeks—a year. I’ve just started my sophomore year. Q: Why not just take a vacation? A: I’ve always been somewhat academic, and it is good to have backup plans. I am a little bit superstitious: “If you don’t go to school, what is the universe going to do?” It’s also really hard to just focus on skiing and be like, “I’m totally going to make it,” when the reality is that lots of people don’t make it. And even if you do make it, do you want to be retired at thirty-three and only have a high school diploma and not know what you want to do with the rest of your life? Q: Has anyone ever told you that you’re wise beyond your years? A: Some people tell me that. I guess I’m very introspective. Q: What are you introspecting for this season? A: I want a lot from myself, but I’m also trying to keep from getting too far ahead of myself. You have to accept with sports that you can try your hardest and it will still chew you up and spit you out. I always try to put in 100 percent effort anyway. I am proud because it is so emotionally risky. Only one person in the world can be the best. Q: This is an Olympic year. A: I’m trying to not let the big O word get too much in my head.